Britain is a nation of 'techthusiasts' says Best Buy report | What Hi-Fi? 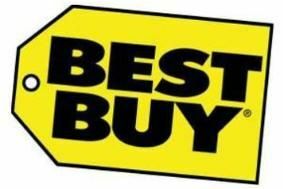 That's according to the latest report from Best Buy, which commissioned the research into the nation's technology needs and habits. While 84% of us claim to enjoy learning about new technologies, one in four of the people surveyed still feel that technology is alien to them. As a nation, we're becoming increasingly reliant on technology in a number of ways, from how we entertain ourselves, to where we store our most precious possessions and the ways in which we communicate with our families. Half of the survey's respondents admitted to texting or emailing someone while in the same house, with 69% of under-25s admitting to doing so. These texts and emails range from announcing their arrival at home, asking a family member to put the kettle on or even flirting with a loved one in the next room! Apparently women are more ilkely to use these digital forms of communication in the home than men (53% vs 46%). And families are now 40% more likely to argue about digital storage space than who is using the landline phone. We are now more than twice as likely to choose to keep our internet access (52%) than our washing machines (19%) and for under-35s the laptop is now the device we turn to first (38%) when we get home, followed by the TV (35%). Unsurprisingly, the area in which technology is most enhancing our quality of life is in the sphere of entertainment. One in five of us are now watching films online, and nearly two thirds are regularly surfing the internet in the company of others. However, despite our apparent love for technology, over half of us say we are still not getting the most out of the technology we own. And 40% of respondents are worried about being left behind by the changes taking place in the digital world, with the older generation slower to embrace the digital revolution. It is now the norm for under-35s to store their music and photos digitally, but the majority of over-35s still store their music and formats in traditional formats. That said, it's not just older people who worry about being left behind; nearly one in three people aged 18-24 share this concern.